The Bee’s Knees are a unique showcase of musical talent formed by accordionist, singer, and band leader Erica Marie Mancini, backed by multi-instrumentalist Sam Day Harmet (mandolin, banjo, clarinet) and low end from “Tuba Joe” Exley. 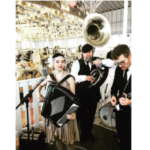 Drawing on inspiration ranging from authentic Argentine tango, Italian ballads, doo wop, the Great American Songbook, and Tin Pan Alley hits, the band belts out songs both old and new with a salty and sultry kick. Though the repertoire is rooted most deeply in American traditional jazz, The Bee’s Knees are hardly traditionalists. 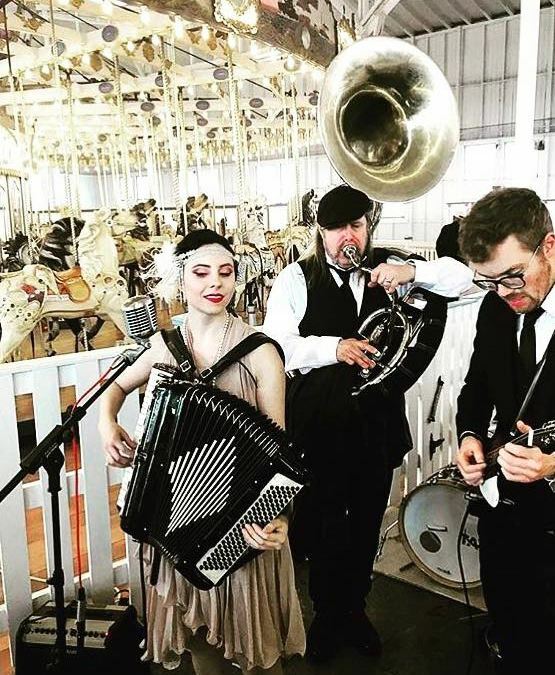 The band powers through in many directions, as their individual musical backgrounds are as diverse as New York City itself — klezmer, blues, free improvisation, Latin, funk, psychedelic rock and more. Their lively, surprising sound has delighted audiences from New York to Italy to Argentina. PLG Arts Music Series at Erv’s, 2122 Beekman Place, Brooklyn, Wednesday January 17, 8-10 pm.